Still no signs but bites what in the world is it? No physical signs other than bites. Help! 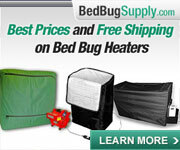 Does it sound like bedbug bites?! I posted here before about my situation. I’ve been getting bites every night but not a single sighting. I’ve searched EVERYTHING including but not limited to, bed, nightstand, edge of carpet, roof texture, plug outlets and personal bags. All beyond the “8 feet” of my bed. Carpet beetles, LOTS of carpet beetle larve but none on bedding. I’m getting bites in the classic 3 row pattern. I’ve experimented by switching which end of my futon I sleep on. 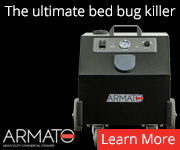 I’ve noticed that the bites appear on one specific part of the bed which of course shows no sign of bed bugs. I’ve looked between the spaces, and bolt holes. Nothing has been found. 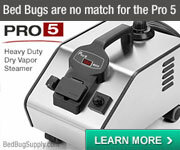 From previous experience with finding bed bugs and being trained to do so at my old job I still can’t find these guys. I assume that if they bite every night there would surely be a sign or significant population by this point. I know I have them because the downstairs neighbor had them, and again from experience, I’ve seen these guys climb down two floors to infest units. Please help, all experience welcome. I feel like a bitter detective working on a case that’s almost unsolvable lol. I’ve used food grade DE the first time it happens and that seemed to of helped. In fact when I recently vacuumed it up, the bites came back. Nothing found but carpet beetle larve which I absolutely can not accept as the cause. Thank you everyone for taking the time to read! I am currently fighting these blood suckers myself. I knew i had them because we found one and just one. however I did manage to drive some out in the open from a box spring using a steam cleaner. you could try that these things are the best at hide and seek. 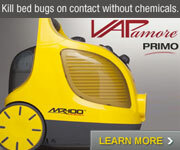 if you bed is against the wall i would also use a steam cleaner on the baseboards or any cracks near or around the bed. they can hide in books as well. found one in a kids book two weeks ago reading my daughter a bed time story. turn the page and bam!!! there it was. 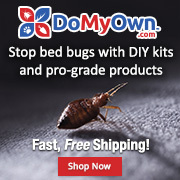 From what i understand bed bugs feed every 3 to 5 days so if your getting bite every night the you would have a large population near where you sleep. or you are getting bite by something else. I'm having similar issue and after 5 months, still no bugs found, bites started again after I vaccumed DE. I can't really help you but just letting you know that you're not alone. We will win the battle. Hi . how long did you leave DE down and you hoovered and got bitten again? If there white you can see better. Blood pin prick stains blood stains bigger ones ? 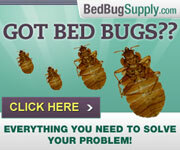 Little black spots you could check with bedbug blue test. Do the blood spots appear before you get bitten or after- if after it could be from scratching bites at night. My pco said to check cushion amd linens every time you get up - if that day you find a red blood stain and after you have a bite that itches at approximately area body of blood stain bed would look alot like bedbugs. I ve just steamed and isolated bed so for me its difficult to find traces but if your bed is not isolated and your getting bites every night you should find at least fecals and little blood spots.. on white sheets .. So you can test black little specs found in bed. there are passive monitors too that sometimes work. Do you get bites on the exposed skin or Under Your garments? Ps have carpet beetles Too. Think i have both. Skin lesions do not always translate into bed bug bites. Carpet beetle larvae are known cause of carpet beetle dermatitis. The defensive setae (hairs) on their bodies cause the skin reaction. The hastisetae found in Trogoderma and Anthrenus species (most commonly encountered species) are known issues and also the spicisetae found on them and also on Attagenus species probably play some role. Carpet beetle exuviae (larval shed skins) break up and move about by air current and/or static electricity. The "classic 3 bite pattern" is not really classic. Be careful vacuuming up DE because the exhaust air scatters it unless a proper HEPA filter is used. The vacuum cleaner will break down due to excessive DE pickup. You can react to many dusts from various origins found in the home. DE contains a small amount of crystalline silica so "food grade" doesn't translate into "inhalation grade". 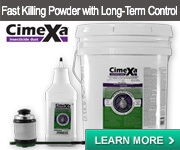 CimeXa dust is amorphous and contains no crystalline component. 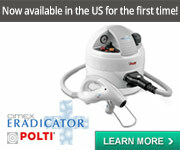 It works faster than DE and is not an inhalation hazard with respect to crystalline silica.